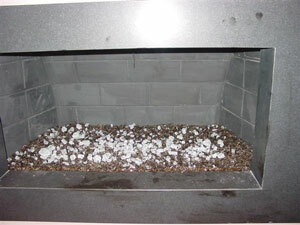 The coarse lava rock on the bottom layer, with the finer layer on top to keep the gas in longer, acts as manifold carrying gas to all portion of the firebox floor covered with that material. 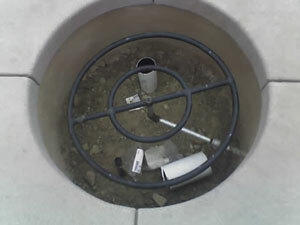 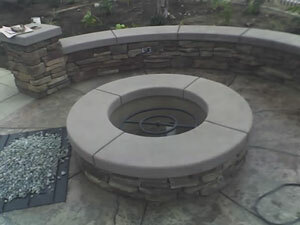 I stopped the coarse rock short of the metal posts in a semi circular shape in plan and backfilled with sand so that the flame would not reach the posts. 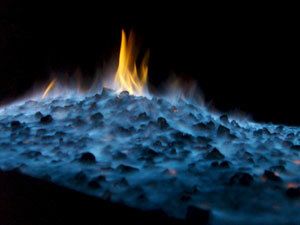 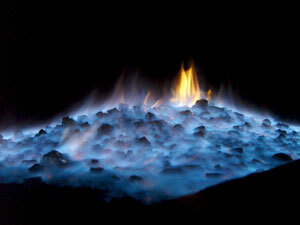 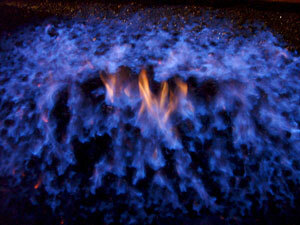 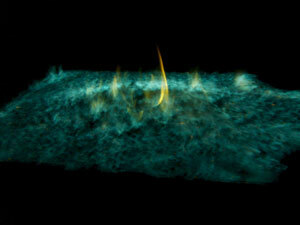 The visual result around the posts is that the gas reaching the end of the coarse material immediately goes upward creating a flowing arc of fire around the posts. 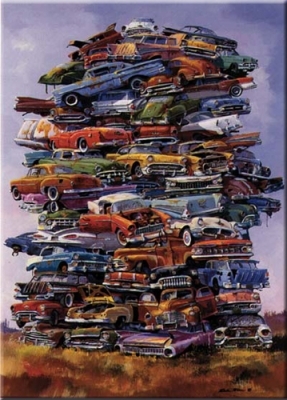 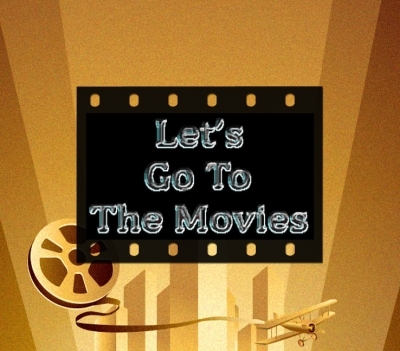 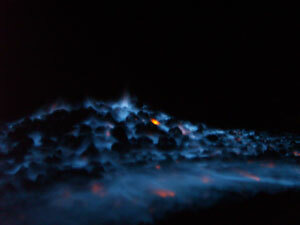 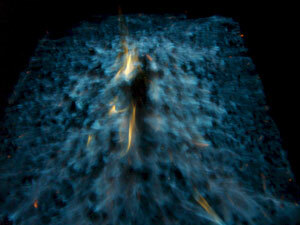 This is seen as a blur in the photos. 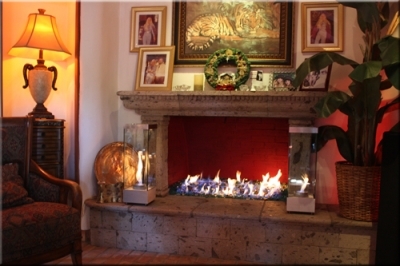 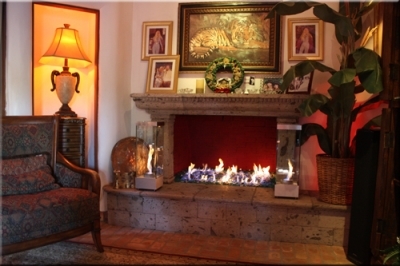 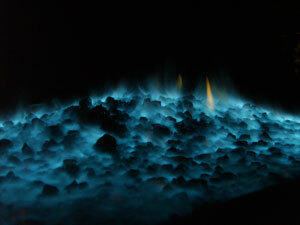 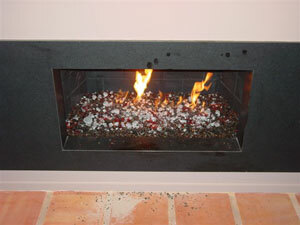 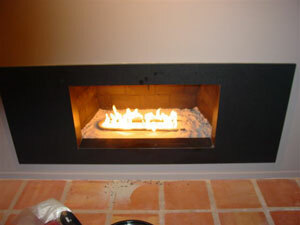 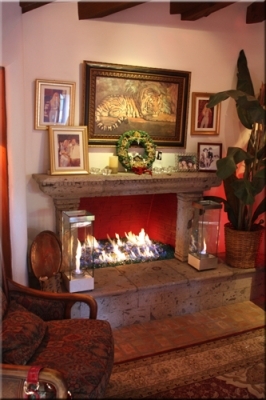 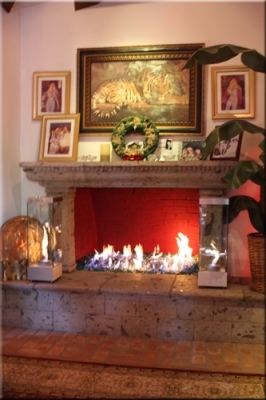 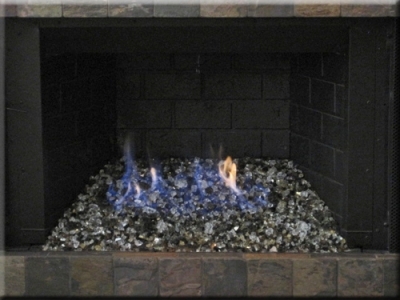 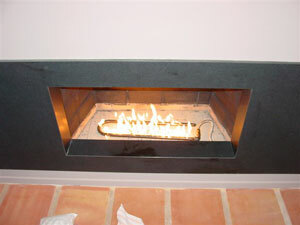 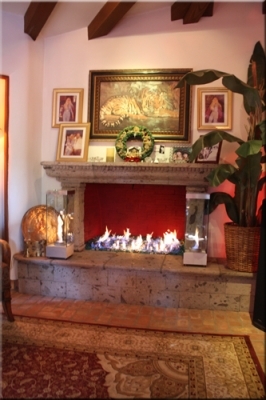 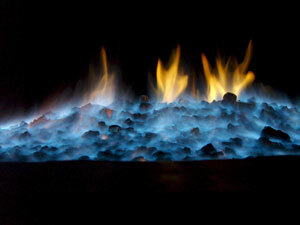 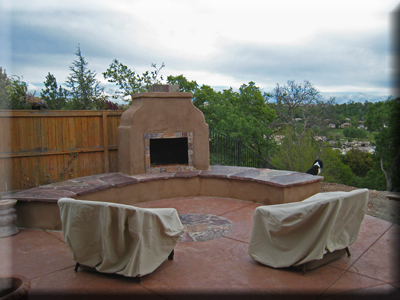 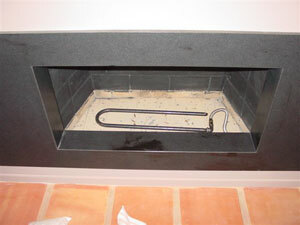 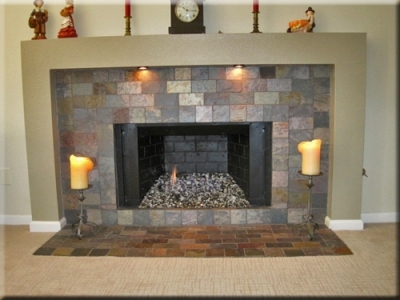 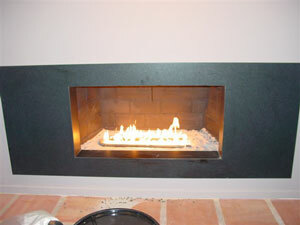 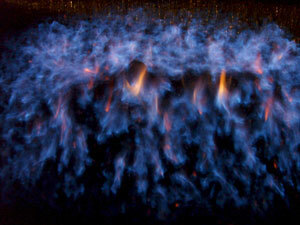 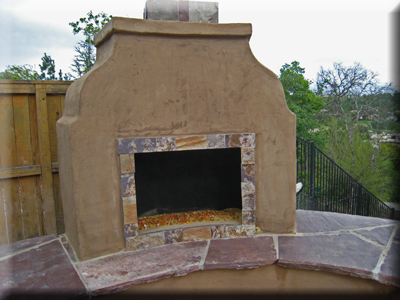 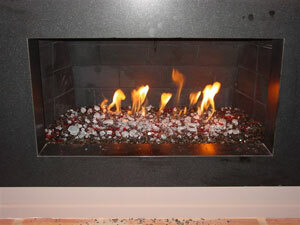 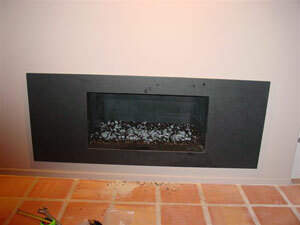 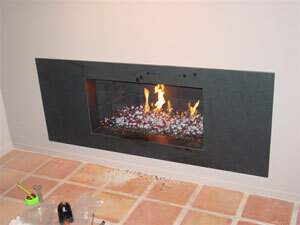 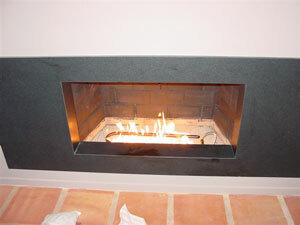 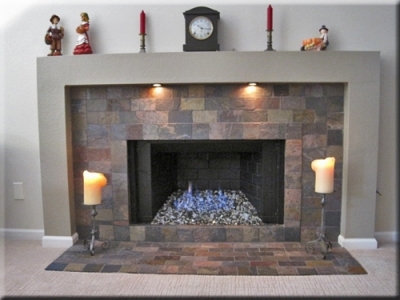 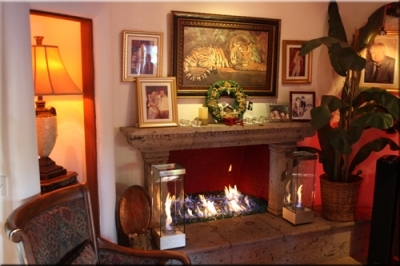 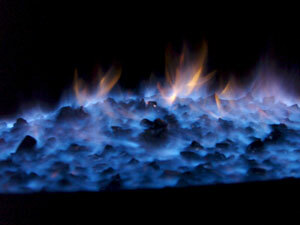 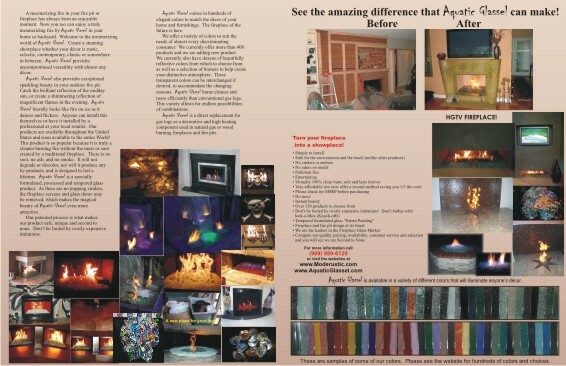 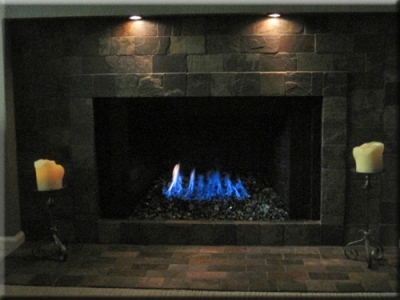 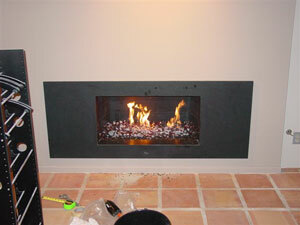 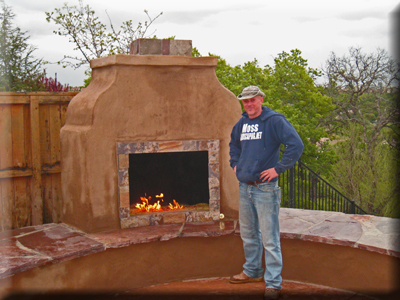 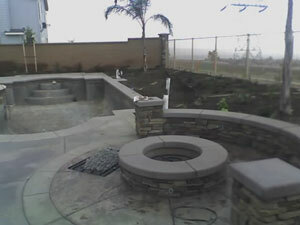 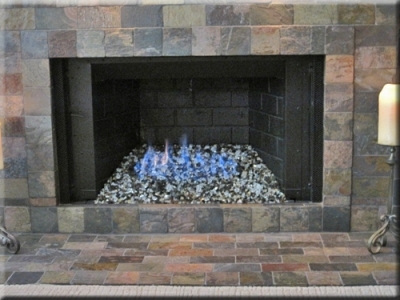 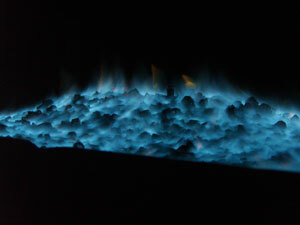 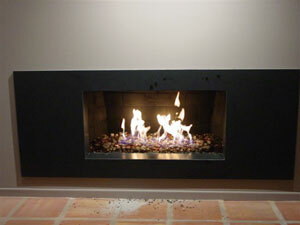 The next fireplaces were installed in Malibu California. 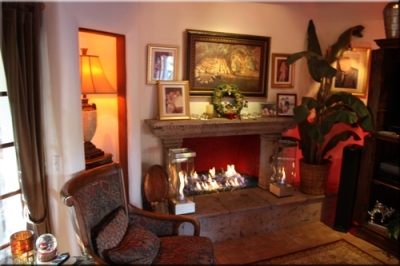 The family room was on the entry level (second floor) and the roof top deck was located on the 4th floor. 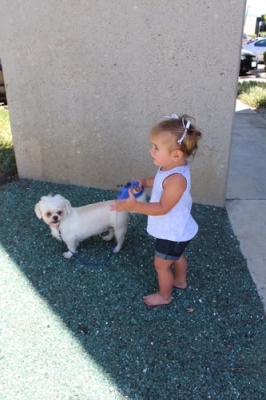 We did a little paparazzi photo shoot while we were there. 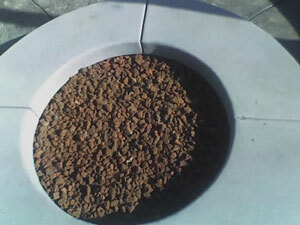 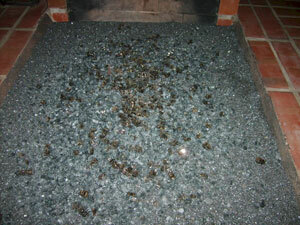 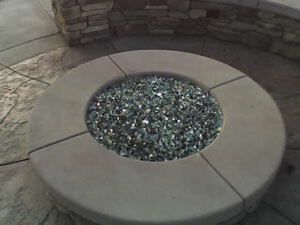 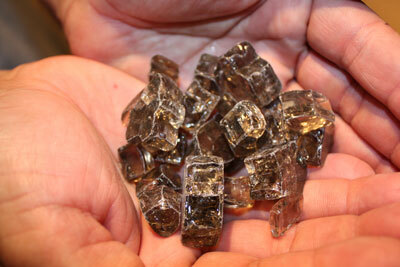 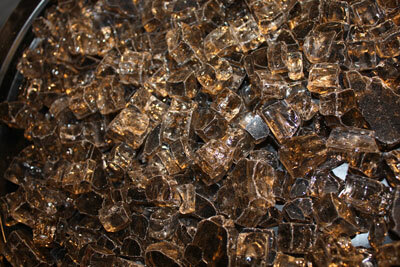 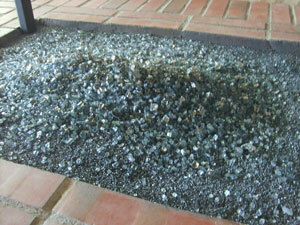 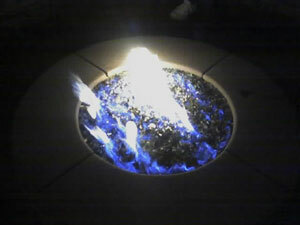 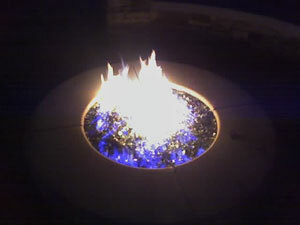 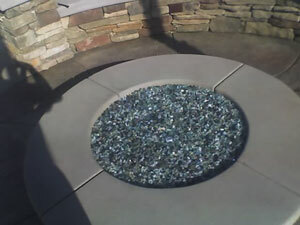 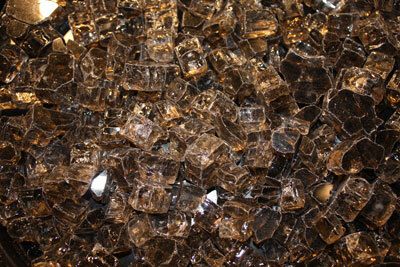 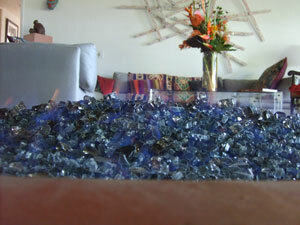 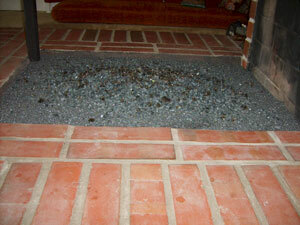 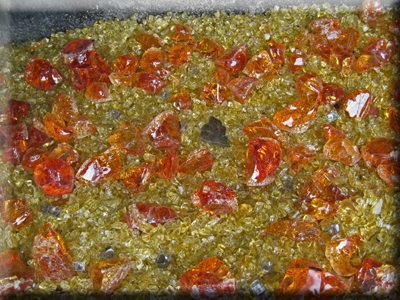 The glass we installed was 1/2" Bronze over a bed of crushed lava.